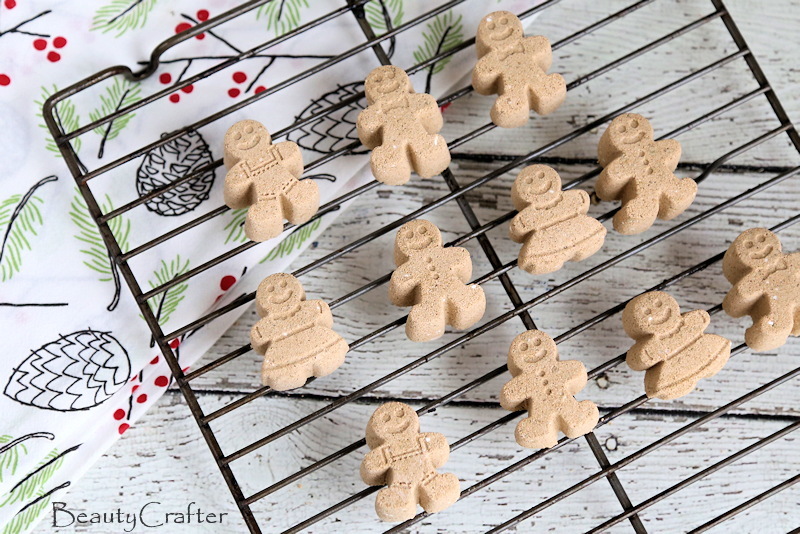 Gingerbread Bath Bombs are such a fun bath time treat. 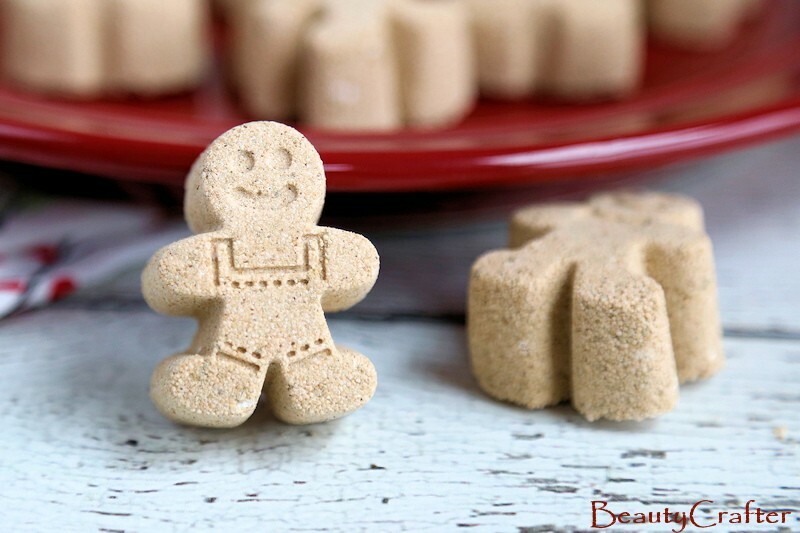 They make your bath water smell just like fresh baked gingerbread cookies and if you use gingerbread boy molds like I did they even have the cute look of them too. What could be a more festive homemade gift idea for Christmas! As the gingerbread people are small as far as bath bombs go, I made the scent slightly stronger than in a bigger bomb. If you opt to use a larger mold I would suggest adjusting the fragrance down slightly. I was slightly concerned the bath bombs might be a bit fragile due to the arms and legs, but the thickness of the mold made that a non-issue. Once these are dry they are pretty sturdy. To be cautious, I would still package with about the same care as cookies and you should not have an issue. 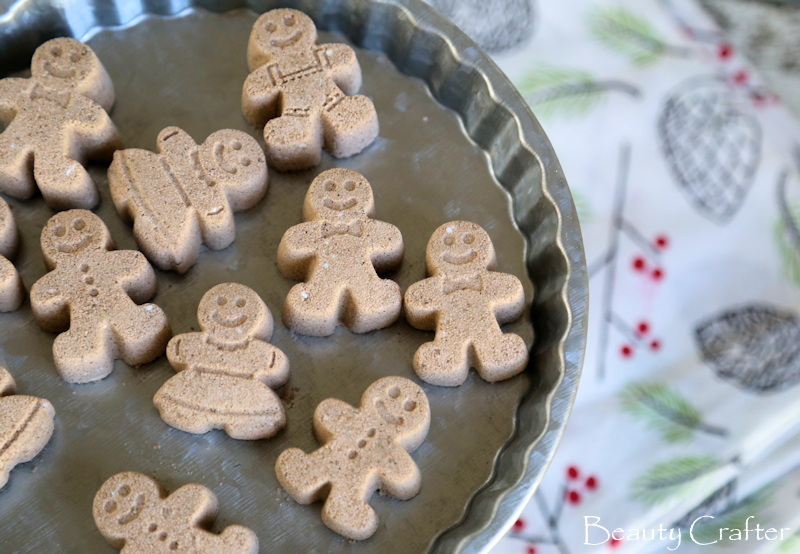 This is the gingerbread mold I used for the bath bombs. I like the little details it adds like the bowties and buttons. They are scented with gingerbread fragrance oil available in the kit below with Prime shipping or as in individual bottle via standard shipping. If you bought the Spice fragrance oil set to make one of my fall projects, you already have this one. 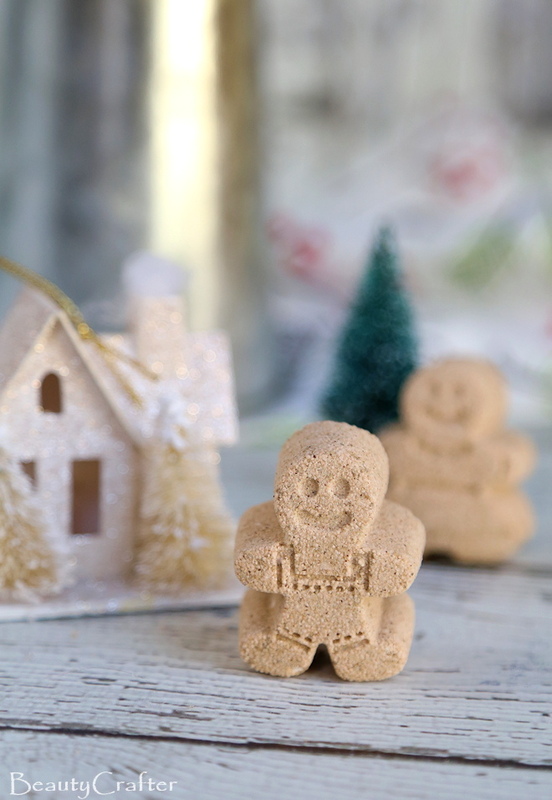 While you are already using the Gingerbread fragrance, why not make a batch of my Gingerbread Sugar Scrub (complete with free printable labels) to go with the bath bombs.